People often think that it’s a great idea to go for a hike with their dog and for good reason. There is something about being out in nature with your favorite four-legged friend that holds great appeal. Hiking with your dog, while wonderful for you, may not be as enticing for others if certain trail etiquette is not followed. By making the right preparations and exercising common sense, your hike with your dog will be a memorable experience. Certain trails are not necessarily fitting to go hiking with dogs. The right dog-friendly trail will have several characteristics. First, narrow trails are not the best for dogs because they leave no clearance room in case others want to pass by and don’t want a close encounter with your dog. While you can hopefully control your dog, you cannot control how others react to your dog. The right trail will also have water sources since it may not be convenient to bring the dog’s water bowl on a hike. Choosing the proper surface will also be important as well. Dogs may not want to hike on paved concrete since they prefer natural surfaces. Also, the extra water that your dog will be drinking may cause the dog to need to find a nice warm patch of grass which may not be as readily found on a paved trail. Sometimes, your four-legged friend will need to squat on his hind two legs, and they will not want to do that on concrete. Finally, you should pay attention to whether the trail is rocky or covered with roots. Your attention may not fully be on the trail because it will be focused on making sure that your dog stays with you at all times. You should be looking for dog-friendly trails. Performing a Google search ahead of time may let you know which trails are suitable for dogs. Certain trails are known for being dog-friendly, and you will likely see many other dogs on those trails. The more crowded and compact the trail, the less hospitable it will be for your dog. Hiking with a dog is almost like hiking with a child, in that you have to bring supplies with you that will certainly add some extra body weight to your hike. It means that you need to be prepared for contingencies along the way. Instead of bringing a diaper bag, you will need dog-specific supplies to keep with you during the course of your hike. For example, you should have a first aid kit on hand. This kit should include supplies for both dogs and humans, just in case the worst-case scenario happens. You should also bring drinking water along for both you and your dog. This is just in case you cannot find another water source along the way. Depending on where you are hiking, you may not want your dog drinking the water that is found along the way because what is contained in that water will hardly be nutritious for your dog. Make sure you pack a sturdy leash and a collar for your dog. 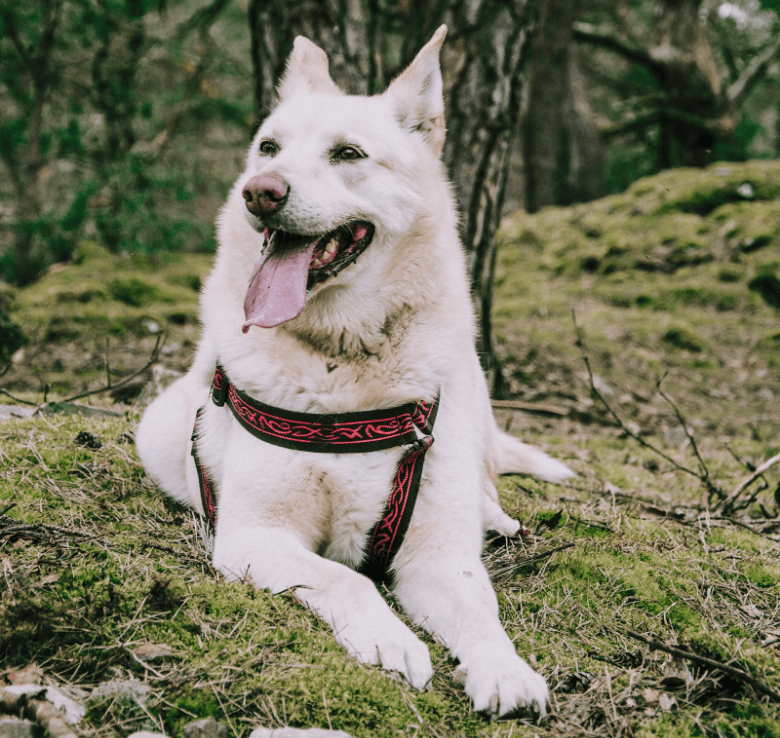 The dog may be excited to be out in nature, and the leash should be able to hold the dog when they try to make a break for it or when they see other animals. Dog owners should also bring along their dog’s rabies tag just in case something goes wrong. Especially if you are far from home and do not have the dog’s records handy, a rabies tag is a quick way of proving that there is nothing wrong with your dog in case someone is bitten. In that regard, current ID tags should be brought along as well. Finally, dog packs are a good thing to bring along with you so nothing is left behind that you need. Pack a little bit of dog food in case your dog gets hungry on the walk. It is better to have too much food rather than too little because you can always take home the extra. The first rule of etiquette when backpacking with a dog is to keep your dog on their leash at all times, unless off-leash hiking is legal and you know the terrain intimately. It is very tempting to let your dog go off-leash, but in some places, that is an offense worthy of a fine. Some folks are downright afraid of dogs, and you cannot control how they will react if they get close to an unleashed dog. In some instances, it is other people that you need to be more afraid of than a simple dog. In any event, you will know your dog the best and will likely have an idea whether letting your dog go off-leash is even feasible. If you attempt to try it, make sure that you have practiced this with your dog on multiple occasions. Understand that as perfect as you think your dog may be, that the dog is capable of acting out at various times. You will also not be able to control the stimuli that your dog encounters. Therefore, it is best to think very hard before letting your dog off the leash. Finally, before ever attempting to let your dog roam free on a trail, it is critical that the dog has had some sort of obedience training. While we all want to leave some memento or memorial behind us to let the world know that we went someplace, it is best that it does not come from your dog. In other words, you should leave no trace of anything behind you that comes from your dog. That means to come well-armed on any hike with poop bags. It goes without saying that when your dog is done, you should clean up the mess no matter how unpleasant it is. Without going into too much detail, dog feces are a source of pollution. They are the third biggest source of water pollution. Dog poop does not age as well as human beings do and its toxins can seep into the soil. For those who want a memorable hiking adventure with their dogs, some of the national parks allow dogs on some or all of their trails. National parks can be a very rewarding experience due to their beauty and their expanse. When you visit one of these parks, you will have a wide-open space that you can enjoy with your dog. Some of these parks will allow you to have a wonderful and enjoyable backpacking trip with your best friend. There are many other parks that are considered dog-friendly, provided that you follow the rules for pets. Owners must be aware of the rules of each specific park to know where in the park dogs are allowed. As usual, owners should avoid the wildlife when with their dogs. When hiking long distances, it is best to take it easy and let your dog move at their own pace. It is preferable not to exert your dog too much. This especially holds true on a hot day. If anything, you should be keeping up with your dog, instead of the other way around. There are many things out there when you are hiking with a dog that can be flashpoints for trouble. There are wild things out in the wild that require you to be vigilant at all times. First of all, ticks are omnipresent and lie in wait to bite you or your dog. You should check your dog both during and after a hike. You should check yourself as well because a tick bite can give you Lyme disease. Dogs can also get Lyme disease. In addition, there is poison ivy on many trails. Humans can certainly get poison ivy, but what you did not know is that dogs can also get it, even though it is rare. Always stay on the trail and be careful of coming into contact with the trees on the trail. When it is a warm day, be careful not to do anything too strenuous with your dog. Both humans and dogs can get heat stroke. You will not be able to tell when your dog is overheating since dogs do not sweat in the same way as humans, and your dog certainly cannot tell you that it is suffering from heat stroke. Finally, you should be careful for sharp rocks, roots and other obstacles on the trail. These may not always be visible to the eye and can injure you and your dog. Always keep one eye cast downwards so you can see whatever lies ahead on the trail. Some dogs will allow you to put some sort of dog hiking boots on them. If your dog will not allow you to put anything on their feet, there is paw cream that you can administer that can provide protection. In general, your dog will be healthier the more exercise that it gets. People generally walk their dog for one reason that does not involve answering nature’s call and that is to get your dog some exercise. A nice vigorous hike will do wonders for your dog’s energy level and immune systems. You will experience sheer joy from your dog, who will most likely be elated to be out in nature. When your hike is over, make sure that you have left nothing behind. Also, perform a full check on your dog’s body. This will make sure that there are no ticks. You should also check for any cuts and scrapes. It is best to give your dog a bath as soon as you return home to wash off anything that your post-hike check may have missed as well as to remove any dirt. Now that you have been warned of everything that can go wrong, you should know that being out in nature with your dog is a vastly rewarding experience that people treasure for their entire lives. 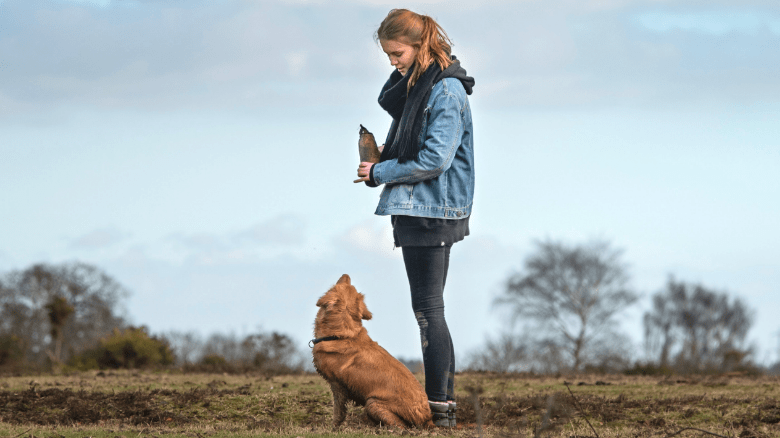 The intent of this article has not been to scare you out of hiking with your dog, but rather to set you on alert for possible pitfalls so you can have the most enjoyable experience possible. While it seems as if this article was preparing you more to go to war than to go on a hike, long walks in nature with your dog are a good thing. Really, if hiking with your dog was a miserable thing, you would not see owners and their dogs on every trail that allows pets. After spending many words on warning you of what to be careful for, here are the four words that matter the most: have a great time!